How Long It Will Take to Get IA Workers’ Comp Payments | Hupy and Abraham, S.C.
Iowa law provides specific guidelines about how long it should take to receive workers’ compensation payments after a work-related injury. While the law provides some certainty for you, the law is dependent on two things. First, it is dependent on your doing what is required of you—and second, it is dependent on the insurance company’s complying with state law. 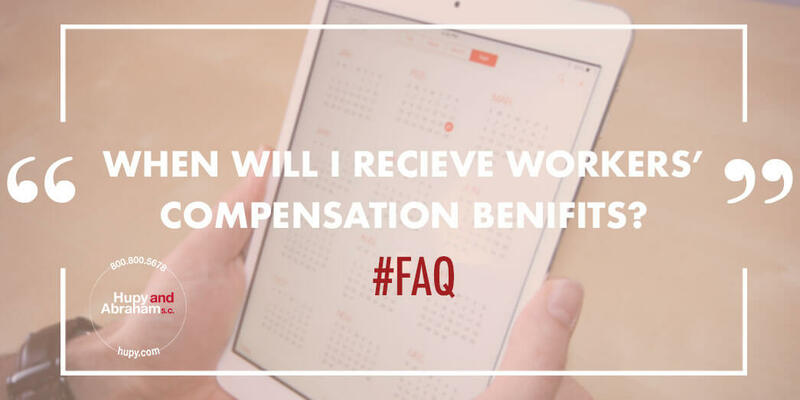 The insurance company provides you with 30 days’ written notice explaining the reason for the termination of benefits and advising you of your right to appeal to the workers’ compensation commissioner. Medical benefits may start even earlier than weekly payments. Workers’ compensation benefits do not begin automatically. Instead, as the injured worker, there are steps that you need to take to make a claim. In order to get your benefit payments to begin on the 11th day after your disability occurs, you must provide a written report of your accident to your employer or your employer’s insurance company as soon as possible. What Happens If Your Payments Are Delayed? If you have provided the necessary documentation and the insurance company has failed to provide you with workers’ compensation benefits within a reasonable amount of time, then you may be entitled to receive interest on back payments and, in some cases, penalty payments. Getting hurt at work can cause you to suffer significant hardship. It is the goal of workers’ compensation law to minimize any undue hardship and that goal is furthered by providing you with prompt payments. If you are having trouble getting the payments that you deserve or if you have any questions about how an Iowa workers’ compensation clam works, please contact us directly via this website or by phone to schedule a free consultation.